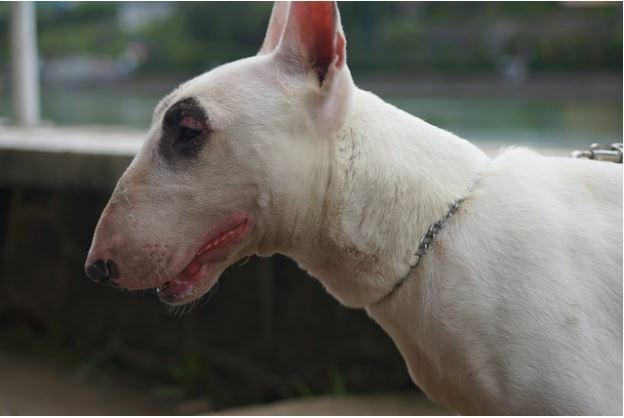 Out of all the bull terriers for sale, you’ve finally chosen a bully. One of the first commands you should teach your puppy is “come.” Picture this scenario: your puppy has spotted a ball or another animal that they have started running after, heading toward the road with a large truck barreling toward them. Your initial reaction is to yell for them to stop and come back. When this happens, does your puppy turn around and quickly return to you, avoiding a potentially life-ending injury? Or does your puppy continue on its path and step out into the road? Start by playing the “ping-pong” game to introduce the concept to your puppy. For this particular activity, you are going to need to have another person help you, lots of treats, and some sort of tugging toy. Sit on the floor, in an area free of distractions, with about 10-feet of space between you and your partner. One person will lightly restrain the puppy, while the other person calls for the puppy by name with as much enthusiasm as they can muster. When the puppy turns and starts toward you, give lots of praise and reward with a high-value treat, followed by a tugging game. Repeat this with the other person calling for the puppy. Repeat often, gradually increasing the distance between you. Once your puppy has gotten the hang of coming when called, it is time to teach them the command “gotcha.” This is a good one to know in case your puppy has gotten away from you. To teach this command, start by showing your puppy a treat, holding it close to your body. When he comes close to you and starts to nibble, slowly and gently, reach for his collar. Once you have hooked a finger in his collar, say “gotcha” while simultaneously opening your hand and rewarding him with the treat. As training progresses, switch from hooking their collar with one finger to your whole hand while also increasing the speed. This will teach your puppy that “gotcha” is rewarding. Now that your puppy has mastered “come” and “gotcha,” it is time to combine the two. Practice the ping-pong game, adding in the command “gotcha” after they have responded to the command to “come.” When your puppy responds, you’ll want to reward them with lots of high-value treats. But finding a bull terrier for sale and teaching it to “come” was just the beginning. You’ll want to continue to train and practice this command so that their skills remain sharp.